2. 3 LED modes: fast flashing, slow flashing, and constant light. 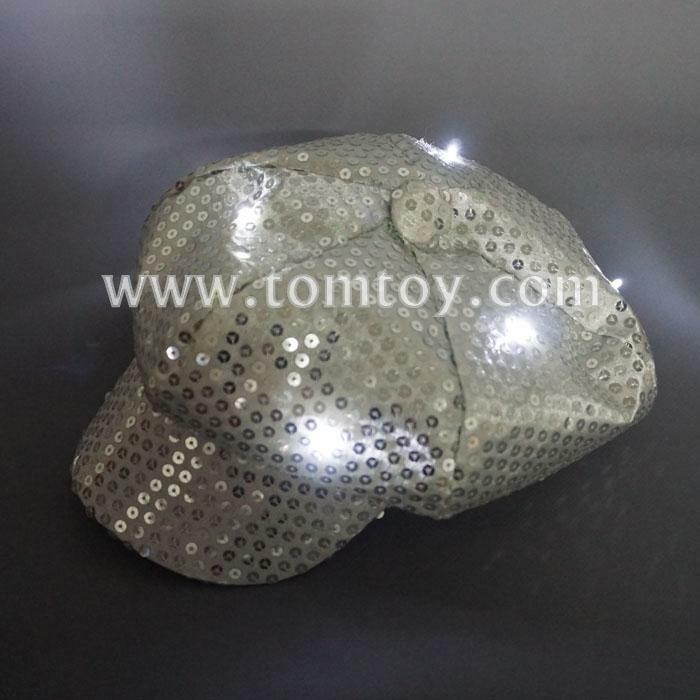 Add flare to any outfit with this LED Sequin Newsboy Hat. 3. These Led Hats are environmentally friendly, non-toxic and are designed to last for a long time.